A clean and modern take on a traditional silhouette. 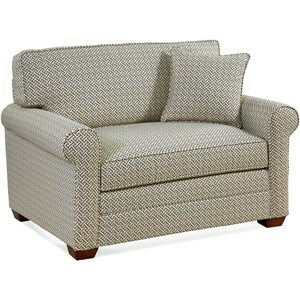 Narrow sloping track arms, a down-blended cushion and tapered legs lend a sleek and stylish seat with endless comfort. 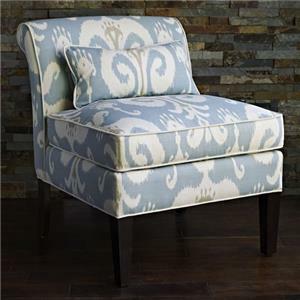 Create an oasis by personalizing the Jermain Chair to show off your style. Sleek and contemporary. 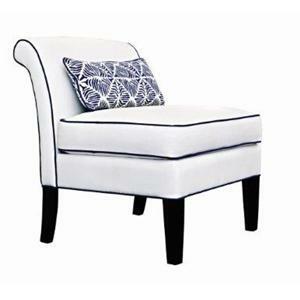 The Chatfield Armless Chair brings a sense of elegance to your space. Complementing any style, the chair has clean lines with a rolled back and sits on exposed tapered legs. With simple design and a variety of custom options, personalize the Dresden Chair to fit your style. 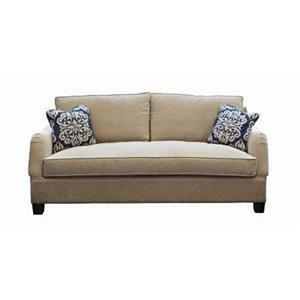 Large with style and small in scale making the Howell Chaise a perfect fit to the living room. 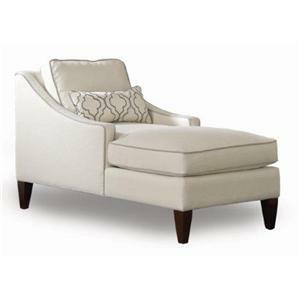 The Howell Chaise is a great way to bring a sophisticated level of comfort into your space. Clean lines, welting and exposed tapered legs introduces a classic chaise for a modern lifestyle. Sloped corners and welt cording give the sleek style of the Cooper Headboard a personality. Create a contemporary and sophisticated bedroom by drawing the eye your bed. Free up more space by using a headboard in an intimate area. 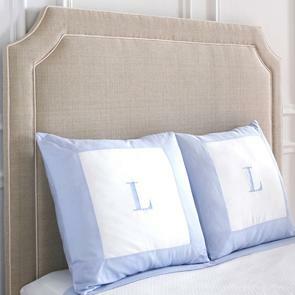 Customizing the headboard allows you match bedding and décor with options of fabrics. Sophisticated and refined. With a high back, low track arms and contrasting welt cording, the Andrews Sofa brings an element of elegance to your space. Decorative throw pillows add depth inviting you to sit back and relax. The Andrews Sofa sits high off the ground with an exposed wood base and tapered legs playing along with the sleek lines throughout. Sloped corners and welt cording give the sleek style of the Cooper Bed a personality. Create a contemporary and sophisticated bedroom by drawing the eye your bed. The Cooper Bed is fully upholstered from the headboard to the rails and low profile footboard creating a finished look. Customizing the bed allows you match bedding and décor with options of fabrics. Classic and chic, a sofa simply perfect for everyday style. 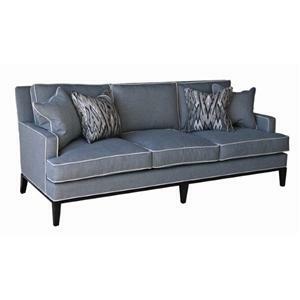 The Herrick Queen Sleeper Sofa brings comfort into your home with style and class. The down-blend bench style cushion is complemented with a two cushion back and accent pillows. The simple design of the sofa features low, rounded arms and exposed square legs. Invite your guests to spend the night in comfort and style. Don't fret about inviting company over for the night when you have this chair at your disposal. 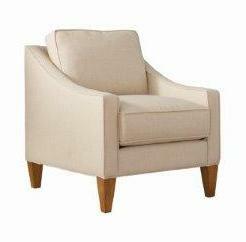 This casual accent chair features a comfortable design with welt cords and wooden legs. When it comes time to accommodate overnight guests, merely fold out the twin size sleeper sofa that rests inside. 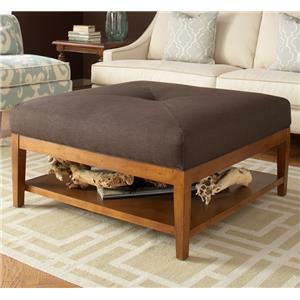 Functionality and style make up the Taylor Ottoman. With the large scale of the ottoman you have both a cocktail table and a footrest. The square shape features a button in the center bringing depth to the ottoman. The upholstered top sits on an exposed wood base with tapered legs and a shelf below letting you store things or display decorative objects.